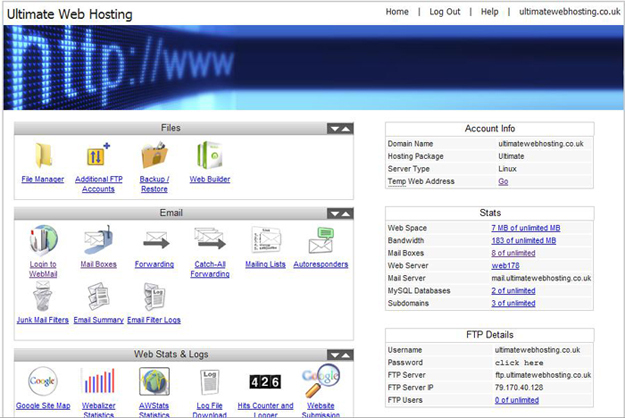 For all of our shared hosting accounts, we currently use cPanel as the main control panel interface. This is a professional solution to managing all the resources of your account from one central location. This is a very common and popular choice within the industry, and it gives customers the flexibility to customise the look and feel of their own control panel, as well as giving them easy access to all the facilities on offer. It gives website owners the ability to monitor and manage their own website without any complexities or hassle!